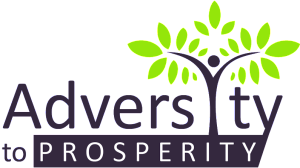 The Board of Directors of Adversity to Prosperity has selected five outstanding candidates to receive scholarship awards. These scholarships will be awarded during a special ceremony on July 13th at 3:30pm at The Bridge Academy in Bridgeport, CT. The “April E. Ogden & Margaret Gaskin” Scholarship was established in memory of Adversity to Prosperity’s co-founders. April Ogden, Thea Elliott’s Mother and Margaret Gaskin, Tyrone Elliott’s aunt both had a passion for serving others and believed in the power of education. April dropped out of high school, but obtained her GED and had plans to attend college prior to unexpectedly passing away in the 1980’s. Margaret believed strongly in the power of education and female empowerment. She graduated with her Master’s degree in social work from Fordham University, but unfortunately she lost her battle to cancer in 2012. This scholarship seeks to recognize female candidates who are high school seniors and have demonstrated perseverance to overcome adversity and achieve their academic goals. The scholarship to be awarded is in the amount of $1,000. This has been awarded to Precious Bynum who is attending Southern Connecticut State University. The John J. Ramos, Sr., Ed.D “Prosperous” Scholarship was established in honor of Dr. Ramos, who was Superintendent of Schools in Bridgeport, CT. Under his leadership, the district developed an aggressive goal to ensure all graduating students were “college-ready” and implemented the positive mantra to “Expect Great Things” from Connecticut’s largest city. The scholarship seeks to recognize candidates who are minority female or male students and are pursuing a career in the education field. The scholarship to be awarded is in the amount of $1,000. This has been awarded to Britiney Deans who is attending University of Connecticut. The “Tony Elliott” Scholarship was established to honor the life of Tony Elliott. Tony, Tyrone Elliott’s uncle, was born in Bridgeport, CT. As a high school player, he was All American while at Warren Harding High School located in Bridgeport, CT. He was recruited by the University of Wisconsin and subsequently drafted by the New Orleans Saints in 1983 where he remained until 1989. Though he battled some personal issues, he believed in giving back. During his years with the Saints, Elliott funded an annual scholarship given to college-bound athletes at his Connecticut high school who excelled in academics, and he often spoke to youths about the dangers of drugs. This has been awarded to Daniel Daley who is attending Bryant University. The “John Lewis” Scholarship was established to Honor Coach John Lewis. Coach Lewis started his coaching career as an assistant at Bassick High school. In the Fall of 1968, Coach Lewis began a distinguished career as both a teacher and coach at his alma mater. In fact during his years at Harding he became far more than a committed and creative coach. He coached the football team from 1968-1989 and won the MBIAC title three times. John Lewis was not just an excellent coach, he was a mentor, father figure, role model, and inspiration to countless students both Black and White. This has been awarded to Shawn Jeffries who is attending Plymouth State. The “Donald J. Rully” Scholarship was established to honor the life of Donald J, Rully. Don was an avid participant in sports as a youth and avid supporter of youth sports as an adult. He graduated from Syracuse University with a degree in broadcast journalism and spent much of his career covering amateur sports. While attending Staples High School, Don was awarded the Thomas De Huff Memorial Award which recognized a young man who was academically gifted and had the spirit of an athlete. This scholarship seeks to recognize a male or female candidate who is a high school senior and has demonstrated the willingness to work hard and desire to share. The scholarship to be awarded is in the amount of $1,000. This has been awarded to Angel Sepulveda who is attending Southern Connecticut State University. The deadline to apply for all five scholarships for 2018 was June 22nd. Visit the Adversity to Prosperity website following the ceremony to learn about the recipients, see their photos, read a few words about their hopes and aspirations, and to donate toward scholarship awards for 2019 www.adversitytoprosperity.org. News & Events, Press Release, Scholarships. permalink.